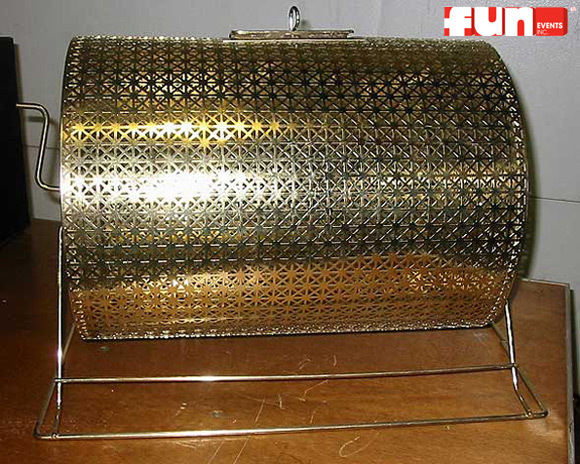 This large brass raffle drum rental is ideal for raffle use. Just open the hinged door place your raffle ticket in and give the drum a spin. Also available for rental pickup.